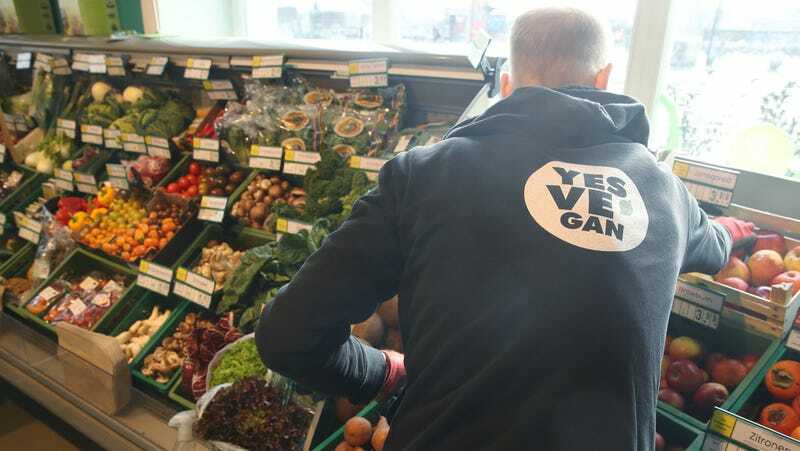 British shoppers who placed a package of “meat-free meatballs”—with a Vegetarian Society seal of approval on it—might reasonably conclude that their meal is meat-free. But not so fast: An investigation by the Daily Telegraph found this product and others labeled vegan or meat-free contained trace amounts of turkey and pork. The scandalous revelations have led Britain’s Food Standards Agency to launch an investigation into Sainsbury’s store brand meat-free meatballs and the vegan barbecue-butternut macaroni meal from Tesco’s Wicked Kitchen line. The stakes are high in an FSA investigation; labeling or marketing food in a deceptive manner is punishable by steep fines and a two-year prison sentence, the Telegraph reports. The stakes are also high for consumers who choose meat-free meals for religious reasons. “It is distressing for vegetarian and vegan consumers to learn that they may have consumed food products labelled as suitable for their use have been shown to contain animal DNA,” the Muslim Council Of Britain told the Telegraph. How the trace meat got into the meals in the first place is, for now, unknown. Independent lab analysis concluded that there were small amounts of pork and turkey DNA in the two brands’ meat-free meals, which potentially came from contamination during processing or packaging. Tesco told the Telegraph that its vegan meals are assembled at plants that also handle meat, but that “strict controls” are in place. A Sainsbury spokesperson said the company’s vegan meals are prepared in a meat-free factory. That’s why even non-vegan consumers have reason to be worried, some say, as it’s currently unclear how the animal DNA came into contact with the vegan meals. Tony Lewis, head of policy at the Chartered Institute Of Environmental Health, told the Telegraph that customers should be concerned because the meat contamination could point to a larger food-manufacturing problem. The FSA investigation is ongoing, and there’s no answer yet as to how the mystery meat got there. Shudder. Ask The Salty Waitress: How obnoxious is my litany of food questions? What should I egg roll next?